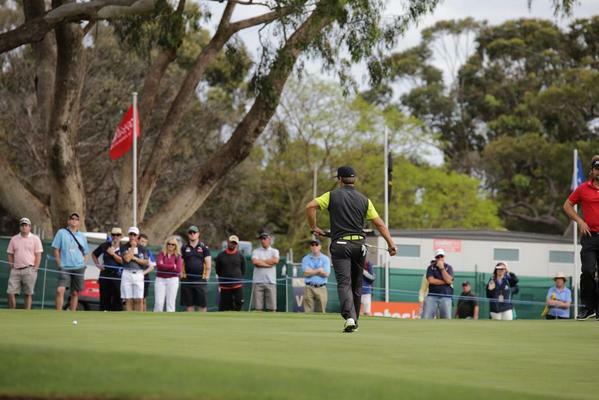 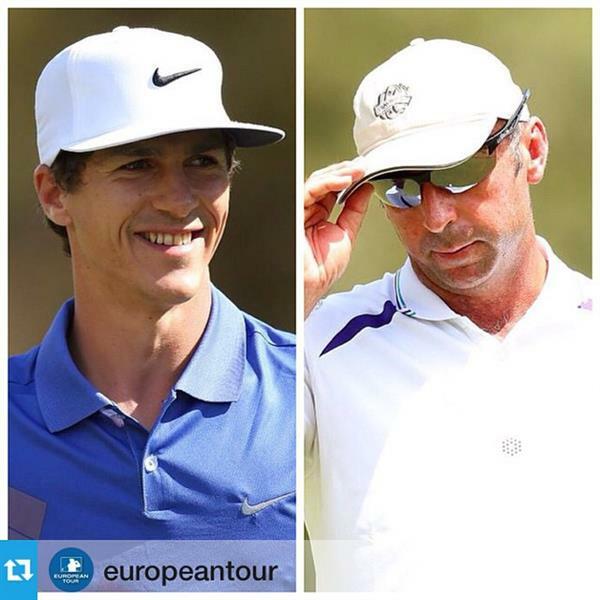 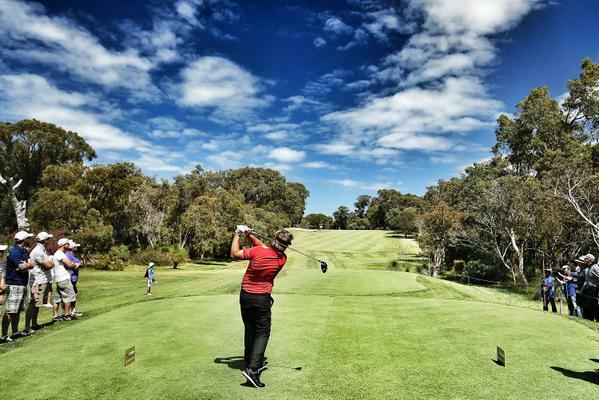 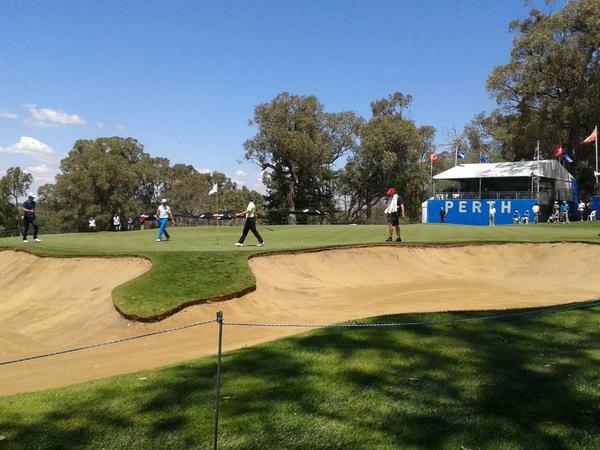 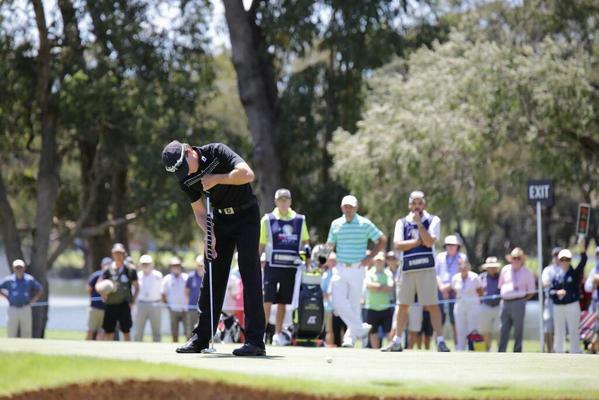 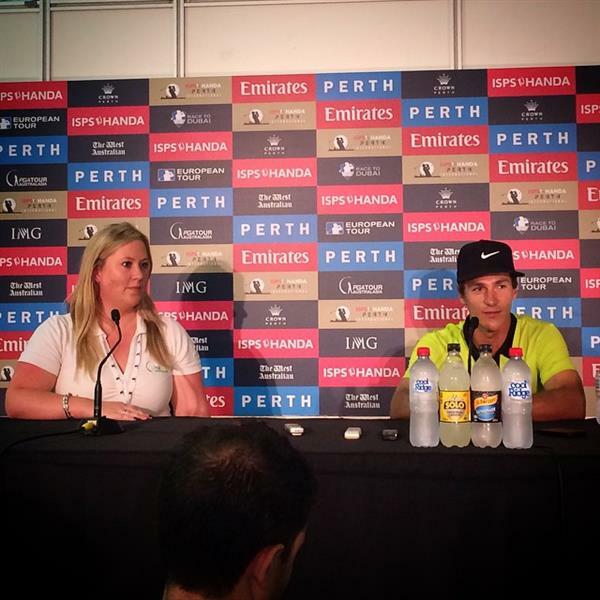 Brett Rumford is continuing his good form at the #PerthIntl . 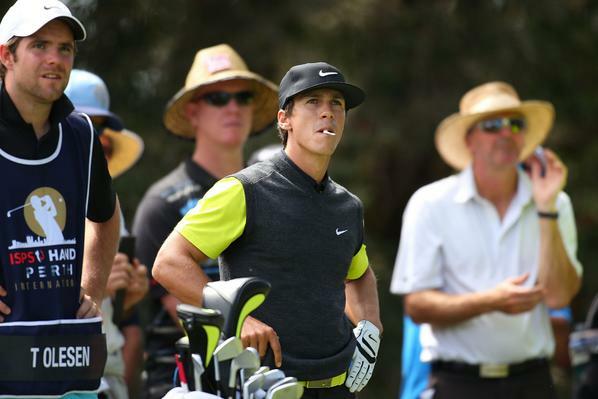 He is 3-under after 11 holes today. 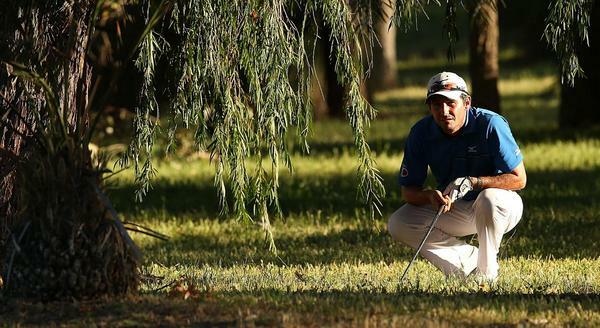 This makes him 8-under and T4. 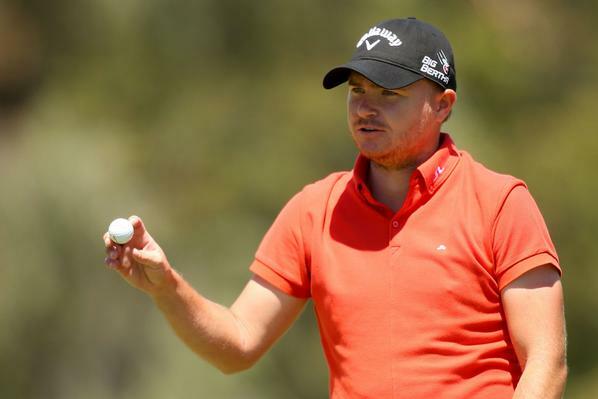 With seven birdies today James Morrison moves to outright fifth at -7, there is now 79 players under par at the #PerthIntl . 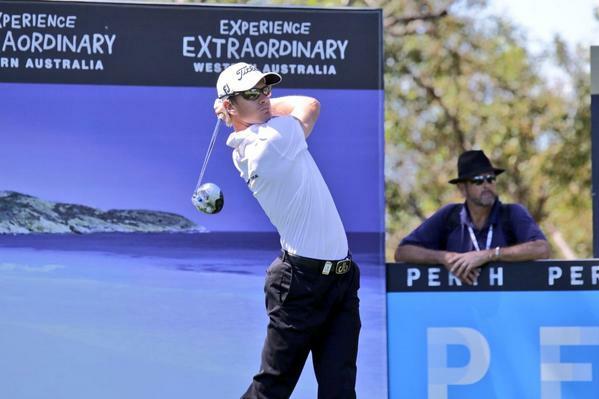 Unfortunately Danny Willett of England has had to withdraw from the #PerthIntl due to injury. 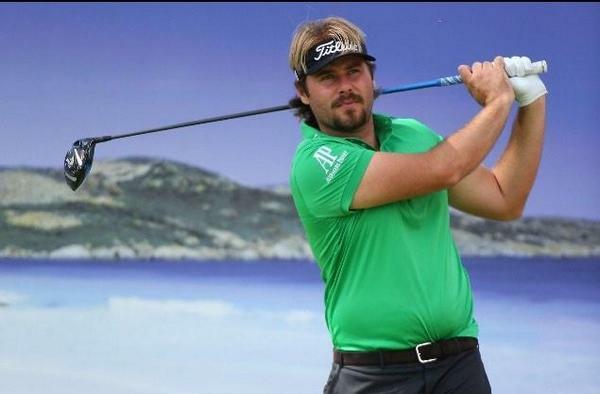 We wish him a speedy recovery! 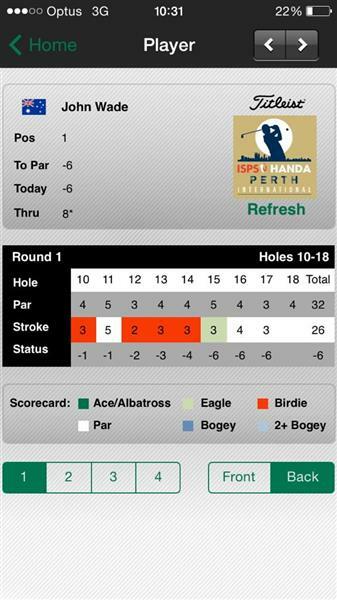 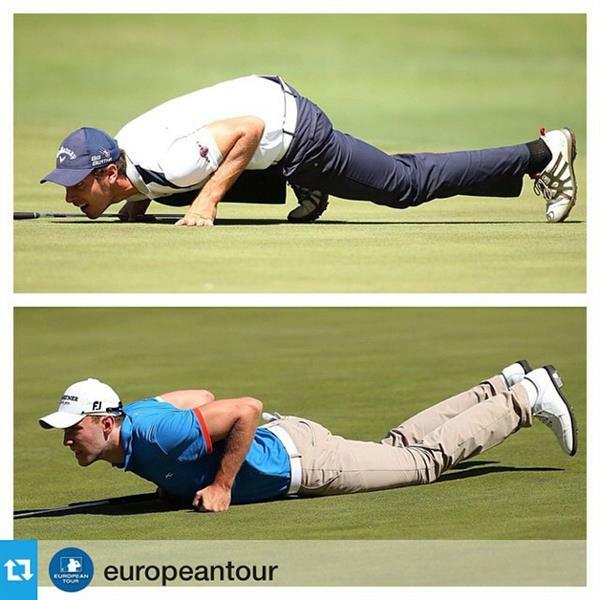 There's more than one way to shoot 64 at the #PerthIntl ! 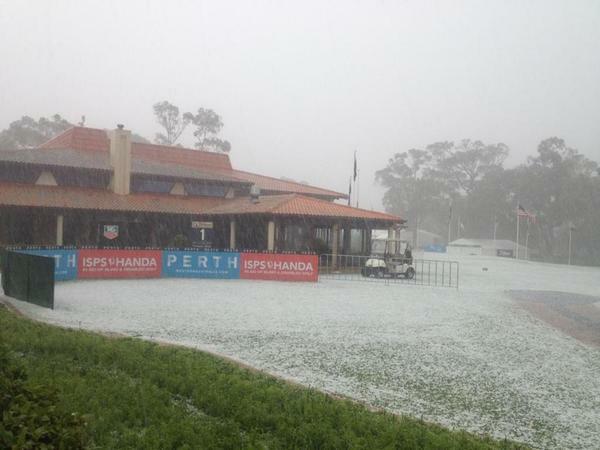 @PGAofAustralia @Channel7 got to love that, just switched the work TV at @Bunbury_Holden over to the Golf! 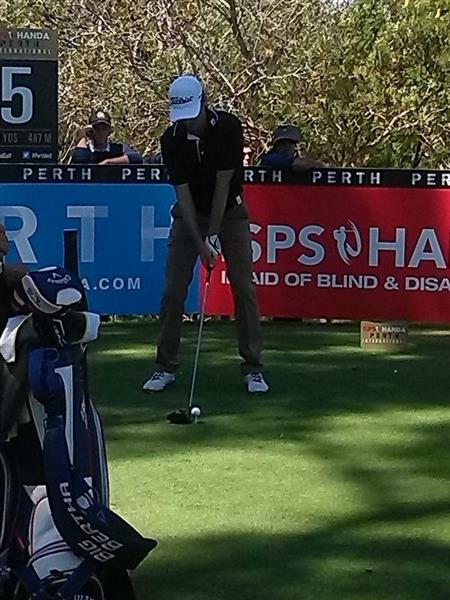 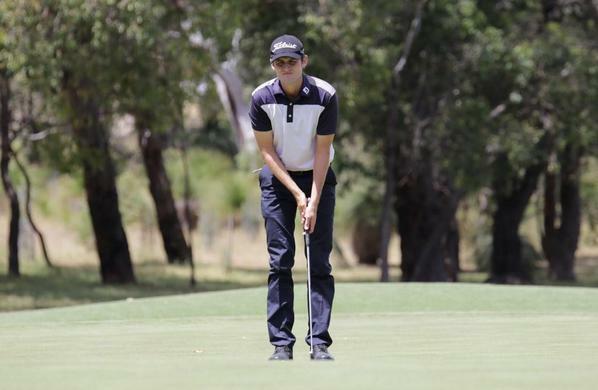 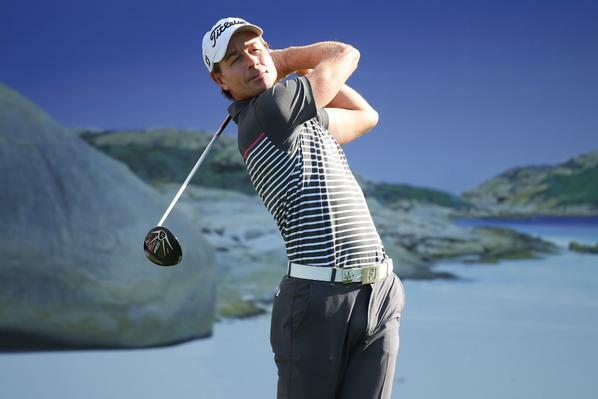 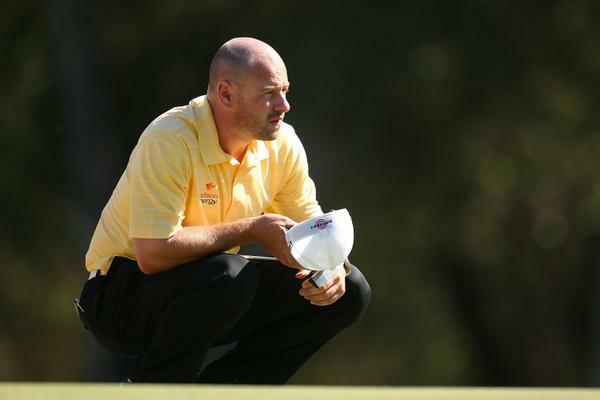 John Wade Monday Qualified for the #PerthIntl . 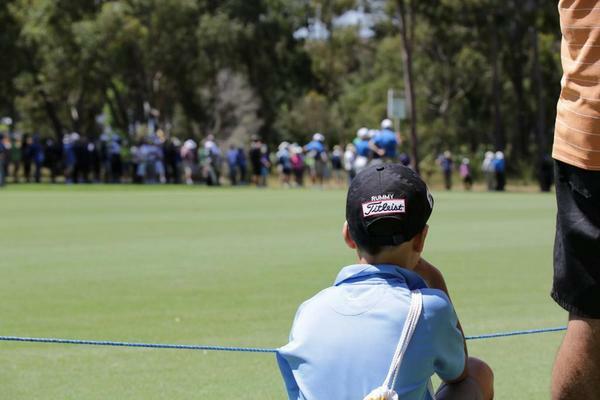 Making the most of his opportunity he has joined the lead. 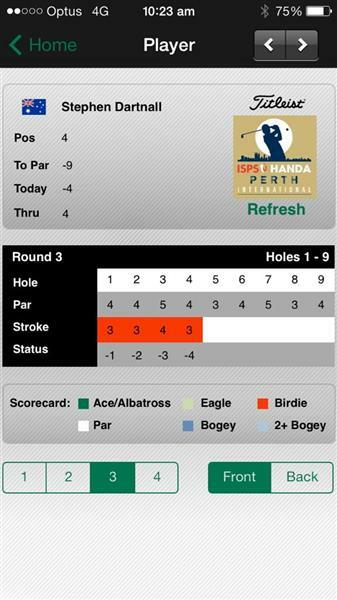 He is 4-under after 5 holes!